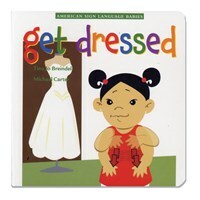 My Baby Can Talk - Exploring Signs introduces babies to twenty-four words and signs to encourage them to explore and begin to communicate about the wonders of the world around them. This playful exploration presents baby's expanding world in a fun and fascinating way -- offering words and signs for colors, foods, nature and play. Included is a Parent Tutorial focusing on key guidelines to begin signing with babies as well as additional signs for parents to teach their little ones -- including signs for emotions. This program also includes a printed Quick Reference Signing Card offering illustrations of the signs presented. developmental stage, attention span and intellect of babies from 10 to 36 months. This series features beautiful real world images, delightful puppet shows, colorful toys in motion and babies communicating with simple gestures. 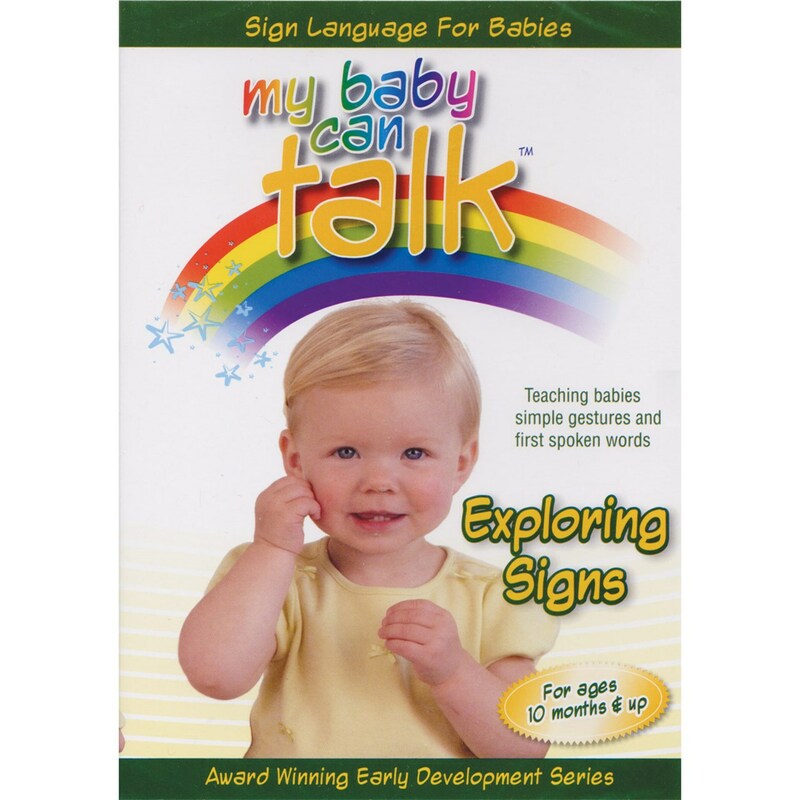 Each sign is demonstrated by babies and an adult, making the My Baby Can Talk series the first baby sign language program to feature preverbal babies signing all the words presented. babies are simply because babies are now able to communicate before they can speak. Said Kathleen Waidhofer, Creative Director of Baby Hands Productions. The concept is very simple. At ten months of age the average hearing baby is unable to speak but is able to use simple hand movements to communicate basic wants and needs instead of crying. Research has shown that babies are able to communicate using baby sign language well before their vocal capacity to formulate spoken words is developed. Babies who use sign language tend to speak sooner with larger vocabularies, show an increase in IQ scores and engage in more sophisticated play. Preverbal signing has also been shown to reduce the frustration broadly associated with the terrible twos. Approximate Running Time: 40 Minutes.